eo-stapler GmbH, a company trading with forklift sales and services, was founded in 1989 in Altenstadt/Hesse near Frankfurt by Edwin Ossowski. Since its inception, the company looks back to a long lasting track record. From the outset eo-stapler concentrates on a comprehensive range of services concerning forklifts, used forklifts, rental forklifts, attachments, construction machinery and cleaning machines. eo-stapler meets every need. 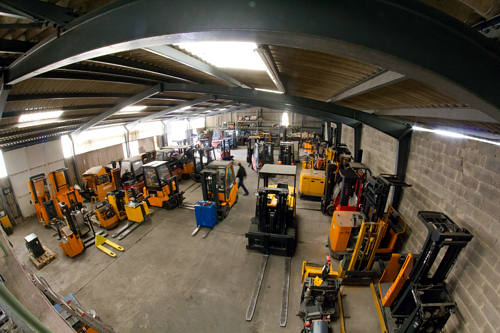 In nearly 30 years of its business, the company developed continuously and well established itself in the forklift market, due to its valuable experiences in the area forklift, used forklift, rental forklift, forklift leasing and stock logistics. In January 2014, Edwin Ossowski handed over eo-stapler to his successor Michael Krieger, who keeps the business going with the same popularity and passion. eo-stapler GmbH serves a large customer base, which has grown significantly far across the Wetterau region. Focus of the business activities is the complete Rhine-Main area: Frankfurt, Wiesbaden, Mainz, Offenbach, Darmstadt and Hanau. 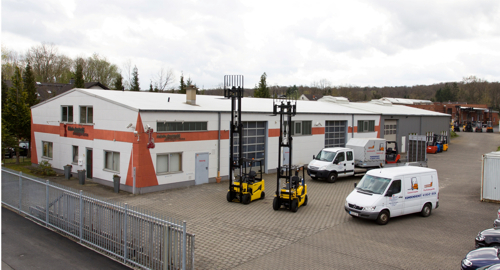 Due to our mobile forklift service, we are also able to cover the further surroundings in the Rhine-Main area. eo-stapler convinces with a wide, customer-focussed range of services, which highly exceeds the normal standard and which offers the best service to the best conditions in the branch of forklift, used forklift, rental forklift, forklift leasing, JCB constuction machinery and Ormig cranes. Also we are representing the famous italian Fiorentini cleaning equpment manufacturer. There is almost nothing we don’t offer!